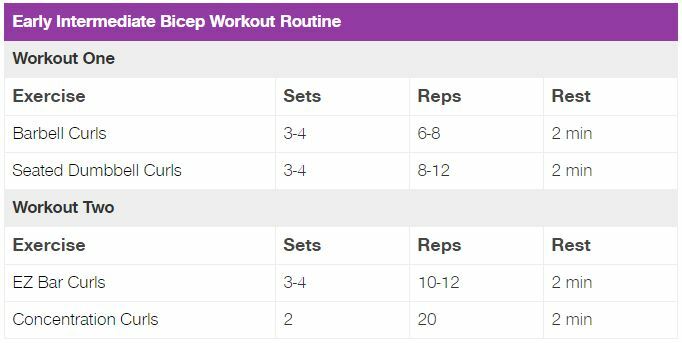 Frequency – 1 workout per week, with at least 5 rest days before your next bicep workouts. Focus – Add more volume and intensity and continue to learn more about how the body handles additional training volume and greater demands. 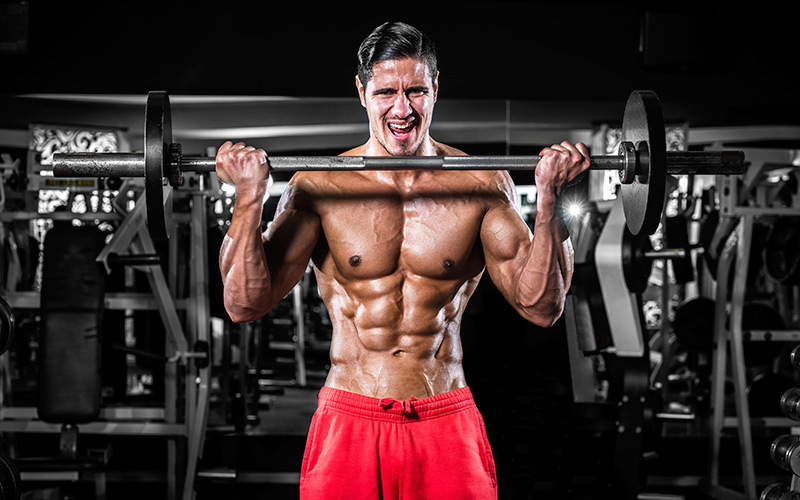 Approach – Moderate volume and strength building in a variety of rep ranges. Back Training – Make sure to include rows and pullups (or lat pull downs) as back work. These lifts will also help you build bigger biceps. Notes: Do not train to failure on any set. Stop each set when your exercise form starts to slip, or when you feel like you might fail on the next rep. Always do as many reps as possible per set. Never waste a set.